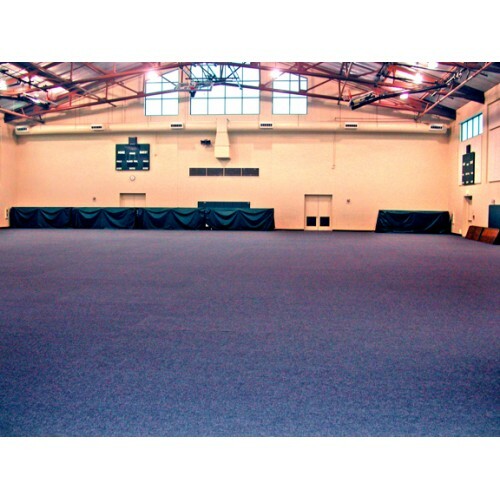 CarpetDeck2 protects your valuable wood floors from damage while being used for special events. The modular tiles feature a multi-layer construction that combines an elegant-looking carpet top with a protective PVC backing. 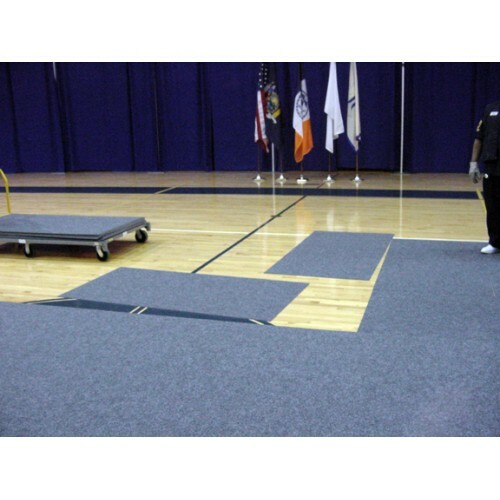 CarpetDeck2 modular tiles are large - approximately 21 sq ft - allowing for quick deployment, but are light enough (approximately 15 lbs. per tile) to easily be handled by one person. Tiles are simply set down and slid into place, requiring no tools or special equipment. 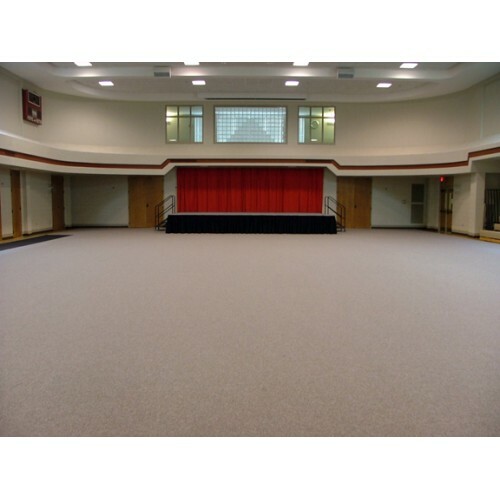 Once in place, CarpetDeck2 provides an elegant and seamless protective floor for all kinds of uses - including graduations, concerts, fundraisers, trade shows and other on-court events. CarpetDeck2 tiles stack neatly and compactly for storage. We offer a specially-designed CarpetDeck2 Transport Cart (CD-TC) to speed installation and also to provide a mobile storage unit for tiles while not in use. 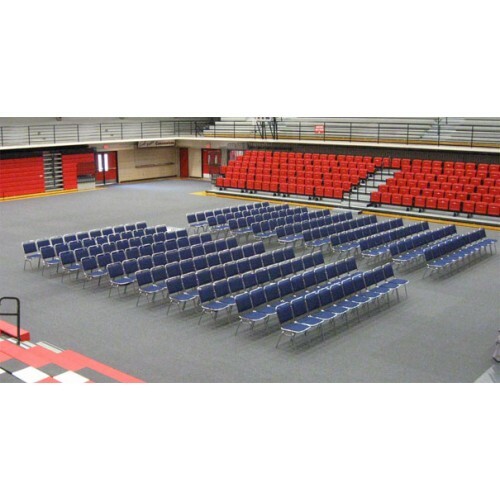 CarpetDeck2 (CD02) is an elegant and affordable temporary floor protection solution for hosting special events on your wood or other sensitive floors. 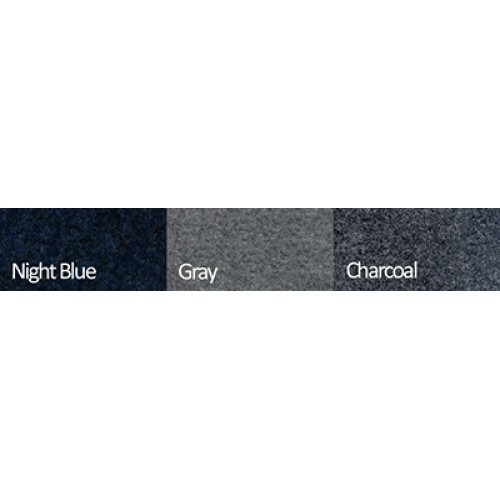 Each CD2 modular tile is made of two sturdy layers designed to provide the upscale look of a carpet top, with a PVC backing that provides protection and slip-resistance for the floor underneath. Available in Night Blue, Gray and Charcoal.